I empower athletes to take a holistic approach to training and nutrition, so they can achieve optimal performance without neglecting work, family, life, and health. I promote a holistic approach and provide synergy as the optimum balance of training and nutrition that achieves ideal performance. Triathlon is more than just swim, bike, run. It is also about mental preparation, handling the demands and stress put on the body, finding a healthy balance and having fun! I have been an endurance athlete my whole life and have been working in the health & wellness industry for almost 20 years. 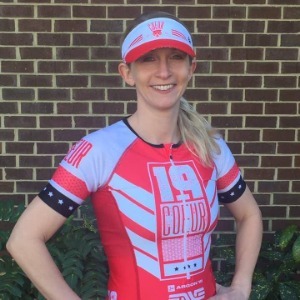 I practice a holistic approach to triathlon & health coaching, which means that I look at how all areas of your life are connected.There is no one-size-fits-all approach to training & nutrition– each person is unique with highly individualized requirements. As a coach, I listen to your needs and your health is my top priority. A healthy, balanced mind and body = the ability to reach your true Whole Wellness For Life and athletic potential. My specialty is coaching athletes in the half and full Ironman distances. Success. Coach Courtney Benedict has been notified of your message.